This is part of an ongoing series where we share ideas that we would love to see implemented, but frankly don't have the time to actually accomplish. 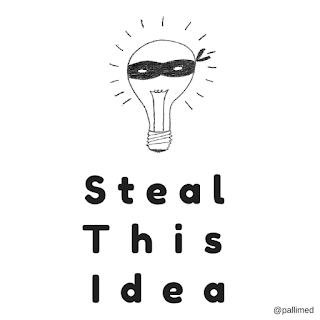 But if a smart person with a little extra time like yourself were to steal this idea, you might find an audience, and maybe some people might be willing to throw a few bucks behind it. Heck, if you can pull it off, we would love to help promote it or if you want to guarantee a built in audience we can officially make it a part of the Pallimed Network. Don't you hate it when you miss the submission deadline to the big palliative care conference you really love? You had a great presentation about palliative care in the ICU and now you are going to have to wait a whole year before you can think about submitting it again, and by then you may not be as thrilled about it. ARRRGHHH! Or you may miss the deadline AGAIN. What a Charlie Brown moment. But what if you had a simple way of knowing about the Critical Care meeting that is being held in your town in 9 months? You could submit it there too! This happens to me a lot, so I started keeping a list of various national and international conferences to consider submitting a presentation. But I was spending too much time updating it and not enough time submitting, but it occurred to me to reconsider this as a crowdsourced effort. With a cloud document service like Dropbox or Google Drive, you could have a document that anyone could view and at a glance see what conferences had abstract deadlines currently open. You could also simply categorize them into Regional, National and International for location, and Primary or Secondary in regards to their palliative care content. AAHPM, CAPC and NHPCO would be primary, whereas ASCO, CHEST, AAP would be secondary. Using once a week or once a month email, people could opt in to see what conferences they might be interested in. With people self-selecting the geographic locations and type of conference they are interested in, you could automate a lot of the notifications. Getting a few academic programs together you could find a group of 5-10 people who would be willing to submit information on various conferences, which would also allow for quality control. Expansion ideas: Alerts for registration and early bird deadlines if you plan on attending. Photo Credit: "Steal This Idea" by Christian Sinclair is licensed under a Creative Commons Attribution-NonCommercial-ShareAlike 4.0 International License.